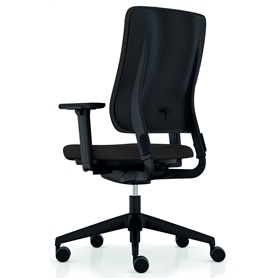 The Drumback is neither upholstered nor pure mesh, but combines the advantages of both basic forms. Martin Ballendat's ingenious design idea was to stretch the cover fabric - similar to a drumhead - over a back component made from polypropylene. Drumback uniquely combines the benefits of the cool comfort of a mesh back and the stability of a closed back without the need for upholstery in a fresh and contemporary look. Seat depth adjustment with 6 incremental positions. 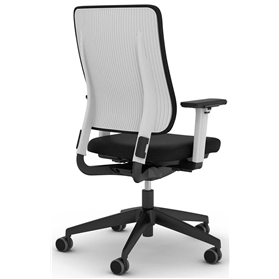 Seat constructed from high quality moulded polyurethane foam, upholstery applied using an adhesive free process. Automatic weight tension synchro-mechanism with additional fine tuning control , free flow recline, lock and 3 position tilt limiter.